If your New Year’s resolution for 2019 is to learn more about personal finance, then start by reading some of Singapore’s best finance sites. 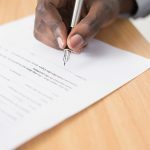 This article was updated on 7 January 2019. If being on top of your financial life is one of your goals for 2019, then it makes sense to be regularly reading some of Singapore’s top financial blogs and websites. In this article, we have shortlisted 40 of the best finance websites and blogs that you should be reading, or at least know about, if you wish to improve your finance knowledge. We have sorted the sites out by categories. Some of these sites are popular across the demographic that they focus on while others are on the list because they cover niche content not easily found elsewhere. The common denominator among all these sites are that they will help you improve your personal finance knowledge, in their own respective ways. For 2019, we even have a new category – sites which are run by financial advisers. You can head down to any of the specific categories that you are interested in. Ranking of the finance sites are in no particular order. MoneySmart has been around for a really long time and is one of the pioneers of Singapore personal finance space. Because of this, their website contains a wealth of information on most personal finance topics which you may be interested in. By covering personal finance topics in an easy-to-understand manner for the layperson, MoneySmart makes a great starting off point for anyone just starting to learn about personal finance. MoneySmart raised $14 million in 2017 in a round led by Kakaku.com. MoneySense is Singapore’s main national financial literacy initiative. Spearheaded by the Monetary Authority of Singapore and Ministry of Manpower, this recently revamped and refreshed website contains a wealth of information and resources to help anyone living in Singapore better understand various financial instruments and concepts available. The non-profit nature of MoneySense makes this website a trusted, quality destination that anyone interested in personal finance should keep in their bookmarks. Seedly is a personal finances tracking app that integrates with local bank accounts. Seedly also has a popular blog and Facebook group. 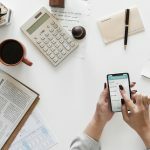 Their blog touches on a range of personal finance and investment topics, some of which are curated from posts from their Facebook group. This is actually a good thing, since regular posters on their group include many financial bloggers and people in the financial industry. Over the year, Seedly have introduced two useful initiatives for consumers in Singapore. Firstly, Seedly has a product review page, where users can leave a rating and comment on the products that they have used. Seedly has also introduced a question page, where users can ask finance-related questions to other members within the community. Seedly was acquired by ShopBack in 2018. Seedly started 2019 with a bang, successfully selling out all 1,200 tickets for their Seedly Personal Finance Festival within 48 hours. That could be a Singapore record for a finance event. For Tomorrow is an initiative by Temasek, in partnership with MoneySmart and DollarsAndSense. It is a repository of specially-written articles with young Singaporeans in mind. It aims to encourage them to discover more about investing and take action today for a better tomorrow. The New Savvy is a regional website that believes in empowering women in the financial, investment and career aspects of their lives. The New Savvy is founded by Anna Haotanto, who runs the website with her team, providing useful financial content that addresses the modern woman’s unique challenges and opportunities. SingSaver’s core focus is being a fantastic credit card and personal loan comparison website. But since we can all benefit from money saving tips, credit card hacks and financial news in general, that’s what SingSaver’s article section provides. Their original content is useful, concise and very relatable. SingSaver is part of the CompareAsia Group. The Fifth Person covers investing and personal finance topics, with a particular emphasis on stocks and real estate investment trusts (REITs) in Singapore, Malaysia and the United States. They believe that by sharing sound investment knowledge and helping readers improve their financial literacy, Singaporeans and people around the world can one day enjoy financial security. One of the oldest personal finance website in Singapore was started in 2005, Investment Moats is created and run by Kyith Ng, a systems and applications engineer by day, and financial blogger extraordinaire by night (or whenever he has time). Every one of his articles are comprehensive and crafted with great care. Topics he covers range from growing and managing wealth, investing concepts, analysis of individual stocks, and his thoughts on policies. Kyith also maintains a dividend stock tracker and keeps a public record of his current portfolio. Dr Wealth (previously known as BigFatPurse) provides investment education to Singaporeans by publishing guides on their website as well as through courses they conduct. They aim to impart proven and actionable investment methods so that their users can achieve superior returns. Some of their most popular contents include guides to STI ETF, Singapore REITs, Value Investing and Factor-Based Investing. The hero of the titular website TradingWithRayner is on a mission to save retail investors like you and me from self-destruction. Besides being a successful independent trader, Rayner is a renowned trading coach who shares his trading knowledge and methods through articles, e-Books, YouTube videos and courses. Run by a team of seasoned investors, Value Invest Asia provides investment insights and education for the Singapore market and around the region. They have also published a book on value investing, titled “Value Investing In Asia – The Definitive Guide to Investing in Asia”. A Singaporean Stocks Investor (ASSI), also known as AK, is a very active personal investing blog. While the bulk of content centres on investing topics and logs of personal investments made, you can sometimes find advice for undergrads, thoughts on life insurance, and more. AK identity is not known though followers of his blog would know that he is a Singaporean male in his 40s. 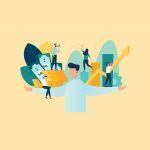 Not just another personal investment blog, SG Young Investment is unique because it offers the perspective of a young professional on the journey of investing. The author shares his financial goals, investment decisions, property buying considerations and also provides mortgage consulting services (for a fee). The Motley Fool Singapore is the local variant of Fool.com, which has operations in the United States, United Kingdom, Australia, Canada and Germany. Through their website and exclusive subscriber-only content, they give retail investors access to investment research and analysis to help them make better investment decisions. As its name suggests, S-REITs Investment Blog focuses on one key asset class – REITs. You can find all the available S-REITs in Singapore on this blog. In addition, the writer also shares about his portfolio, as well as the reasons behind each of the REITs investment he has made. If you are looking to invest in REITs, or want to stay up to date on what’s happening in the market, you should bookmark this blog, if you have not already done so. The Know brings to you financial insight from endowus, a local start-up that aims to help investors leverage on technology for investment advice and opportunities. While most other finance sites tend to focus on stocks, bonds, ETFs or REITs, The Know focuses on topics such as unit trusts and mutual funds, which tends to be less well covered in Singapore. Operated by ShareInvestor, Investor One is a portal specifically dedicated to Catalist stocks which are listed on the Singapore Exchange. The website features a wide range of articles which provides information on Catalist companies. There are analysis as well as interviews conducted with C-level executives of these companies, giving investors insights into smaller listed companies which are not as well covered by the media. A new entrant to the investment space, ProButterfly brings with it investment analysis for individual stocks that the writer has analysed with a heavy focus towards REITs. The writer, Tam Ging Wien, has also published a book called REITs to Riches: Everything You Need To Know About Investing Profitably in REITs which you can purchase if you wish to read more about the topic. Cheerful Egg is founded and run by Lionel Yeo, where he muses on life, money, and everything in between. He shares candidly on investment and personal finance matters in his own life, as well as occasionally giving us a glimpse into the ups and downs of living in fast-paced Singapore. Budget Babe is a working professional who generously shares about anything she is doing, learning and thinking. From buying your first Bitcoin to budgeting for your wedding, think of Budget Babe as your BFF who always has your back for all things financial. Budget Babe recently became a mother so expect to see more parenting-related finance articles from her in 2019, written from a female perspective of course. Given that most Singaporeans live in a HDB flat, Heartland Boy is someone we can all relate to. 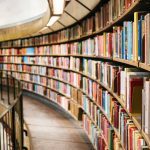 In additional to being a living archive of a true-blue heartlander’s journey to financial independence, his blog is an inspiration and how-to for anyone who wishes to embark on their very own journey. Similar to Budget Babe, Heartland Boy recently became a father (no, it’s not the same baby) and has shared his first-time daddy experience on the cost of giving birth and the importance of health insurance for babies. An important read for any Singapore dad. Written by a husband and wife team who are “quarter-retired” by age 29, My 15 Hour Work Week is a fascinating peek into the philosophy and methodology of achieving financial freedom in Singapore using a variety of financial tools. Besides giving you a glimpse of how semi-retirement could look like in Singapore, My 15 Hour Work Week also provides readers with regular updates to his investment portfolio. Similar to 15 Hour Work Week, if your goal is to enjoy financial independence at an early age, then you would find the articles on A Path To Forever Financial Freedom relevant. Since starting in 2011, the author of the blog, Brian, has written more than 650 articles. Brian’s own personal goal is to achieve financial independence by age 35. Similar to some other investment bloggers, Brian also shares his own personal stock portfolio, which currently stands at an impressive $833,750 as of end 2018. If you are looking to invest in stocks with smaller market capitalisation and which are less well known, Small Cap Asia is the website you want to follow. Started by James Yeo, who is a former writer at The Motley Fool and DollarsAndSense.sg, the site aims to provide essential research, tools and analysis to simplify investing so that everyone can invest. Small Cap Asia hopes to help its readers find the best possible stock investments in the market so that they can earn returns which are more than 100%. If you are looking to find information on a stock which is about to have its initial public offering (IPO) on the Singapore Exchange, Singapore IPO is where you want to turn to. Detailed write-ups have been done for each company that have listed on the SGX Mainboard or Catalist since 7 July 2007. 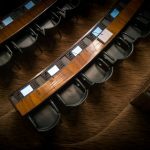 There is also a list of carefully curated articles that you can read if you are new to IPO, and are unsure of how the process works. Investment Stab was created by a group of Singaporean students who are curious and interested about finance. 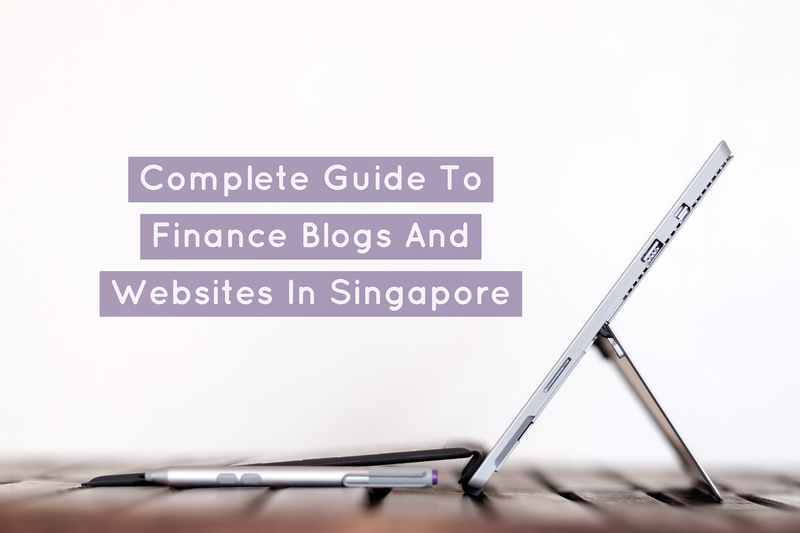 The blog aims to educate people on personal finance, investments, retirement and their CPF matters – which are basically the things that you ought to know if you are living in Singapore. 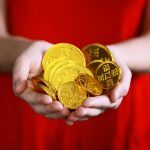 If you find regular personal finance articles a tad too dry or common for you, or you want a unique perspective on issues that may or may not be finance related, Tree Of Prosperity could just be the website that you need in order to spice up your life, or at least your daily reading. Interesting, but controversial articles that the writer, Christopher, has written about over the past months include why people fail because they major in minor things and brutal truths about Polytechnic graduates. You may not agree with some of these articles but they sure would get you thinking, if that’s what you want. Another new entrant to this list, Financial Horse galloped out from nowhere in 2018 to become one of Singapore’s most popular investment blogs – with close to 100 articles (by our estimate) written in its first year. Pretty impressive for a blog that has only one writer and who also has a full-time job. 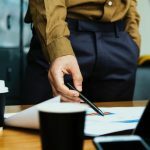 While seen as a personal finance blog, the writer focuses heavily on investment-related topics, seeking constantly to demystify complex jargons which would be confusing for the average Singapore investor. If you are into hacking credit card miles, then The Milelion is your guru. When he is not calling out influencers for irresponsible and unethical marketing, Aaron of The Milelion dives into detail how you can utilise credit cards to the fullest extent to earn the most amount of miles, and the many ways you can spend them. Even if you have just a passing interest in credit card miles hacking, Aaron’s witty and sharp writing should be reason enough for The Milelion to be on your bookmarks list. For hard-core Milelion fans out there, you will be glad to know that Aaron also went onboard Milelion full-time in 2018. So we can all look forward to more great articles in 2019. Created by the Central Provident Fund (CPF) Board, Are You Ready? is a guided tour of the CPF system through bite-sized articles categorised into life stages like Starting Work, Your Health, Getting Married, Golden Years. Are You Ready? is a very painless (and even enjoyable) way to learn to live with and maximise your CPF monies. If you require property-related content, 99.co has a section on their website dedicated to covering a favourite pet topic of Singaporeans: property. From commentary on larger property market trends to home lifestyle topics, there’s something for everyone – whether you’re a property investor or a HDB homeowner. As a business, Insurance Market helps Singaporeans compare between different types of general insurance policies such as car, home and maid insurance. However, if you are looking to learn more about general insurance, Insurance Market also has a blog, though hidden within their website. You can click on the link here if you can’t find it on their main site. Articles written on their blog are mainly about general insurance matters. So, expect to see articles on insurance topics that you never knew even existed, such as pet and cybersecurity insurance. If you want a no nonsense explanation on life insurance matters in Singapore, Clearly Surely is surely the website to go to. 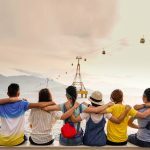 Aside from covering the latest development in the life insurance space in Singapore, Clearly Surely also has a list of real lives, real stories articles which are bound to inspire and encourage you to take life insurance matters around you more seriously. 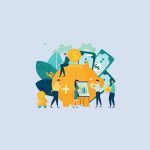 Created as a platform that helps users connect their financial planning questions to the right advisers, fundMyLife also operates a blog. Needless to say, topics that they write about is mainly about health and life insurance matters. One interesting aspect of fundMyLife articles is that they regularly carry the perspective of financial advisors. Hence, you are getting insights not just from consumers or writers, but also from financial advisors themselves. MoneyOwl was launched in November 2018 as a joint venture between NTUC Enterprise Co-operative Ltd and Providend Holding Pte Ltd. However while the entity may be new, the team operating it is not, as the previous technology, capability and know-how from DIYInsurance, now sits on the MoneyOwl website. Also on the website are valuable financial planning articles which users can read and understand for themselves, before they commit to any financial products. Along with its bionic approach towards financial planning, MoneyOwl hopes to deliver to Singaporeans a holistic approach towards financial planning. Run be Wilfred Ling, a financial counsellor and money coach who provides fee-based financial services to individual in Singapore, IFA.sg provides invaluable financial planning insights from an experienced professional. While Wilfred charges a fee for his financial planning services, you can gain free access to his huge stash of well-written financial planning articles – more than 500 articles from our estimate – written by him since 2005. Now that’s a lot of reading to do. A fee-based financial adviser, Ivan started SGMoneyMatter in 2008. This was at a time where banks and financial institutions were pushing complex products to consumers. Similar to IFA.sg, Ivan provides financial planning insights based on his experience and knowledge. He also specialises in retirement planning and financial planning for small business owners. With the word “Maverick”, one would expect that conforming to the norm is not something that this blog would naturally do. Money Maverick certainly live up to its reputation thus far (the blog is still relatively new) with interesting but controversial articles such as Clearing debt early for a peace of mind is overrated and Why 100% of passive fund managers underperform benchmarks (ouch!). Shots were even fired at some popular financial bloggers and you can read his articles here and here. While not everyone may agree with Luke’s views, nobody can’t fault him for holding back his opinion. It’s a bold move and one which Money Maverick seems comfortable with making. Some stock investors like to know what are the insider trades which are being made. For example, if Piyush Gupta is buying more DBS stocks, they want to know. Spiking does exactly that. This homegrown app allows investors to track real-time verified transactions which are being made by insiders or big-time investors. The company also has a blog which regularly publishes articles relevant to this topic. Rounding up our list is none other than Investing Note. Investing Note is a social media platform for stock investors to connect and follow each other, their write-ups, calls and recommendations. So if you don’t want to be a financial blogger, or deal with the problem of creating a website, you can still write and have people follow you. Because it has many users writing articles, there are tons of content being published each day on investing note, probably more than you can realistically read. Think of this as similar to your Facebook feed during Facebook’s early days. The smarter way to navigate through this is to sort the articles out by the investors that you want to follow, or the stocks that you are interested in. This way, you get the content which is relevant to you. This wraps up our list. However, are they any of your favourite financial websites which you think should be on our list? Drop us a message at [email protected] and we can look into adding them here.